Thanks for visiting Brian’s Comics website! 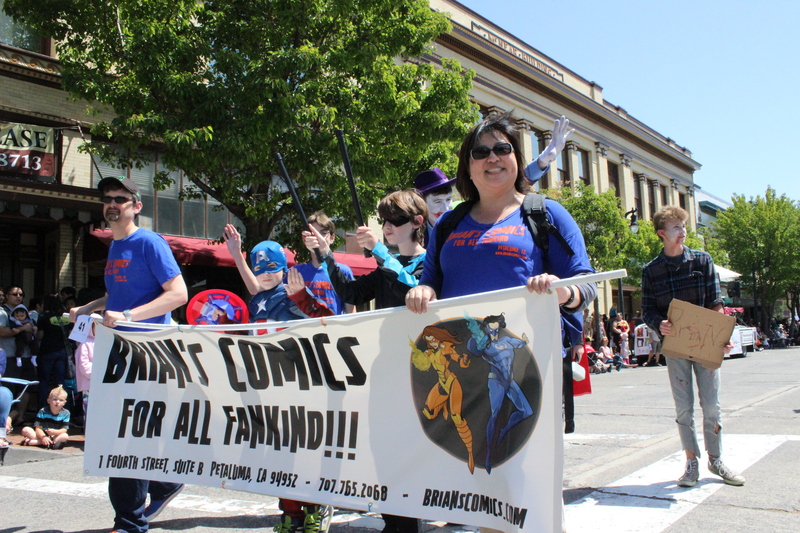 Conveniently located in downtown Petaluma, Brian’s Comics strives to be the comic book store for all fankind! Whether you’re an experienced reader or new to the genre, whether you’re eight or eighty years old, we hope to foster a love of comic books for everyone. A clean, well-lit and organized store that creates a welcoming shopping environment. Friendly advice and suggestions for readers of all ages and experience levels. Bags and boards for all of our comics, at no additional cost. Bagging and boarding helps to protect the comic books, as well as aids in the ease of storage. A large section for kids, with appropriate comics for all ages. We can help you determine what is appropriate for kids. The only place where you can find Mister Toast and Friends in the North Bay. Discounts for accredited schools on large orders. We have worked with local school libraries (e.g., Casa Grande High School and Marin Academy) in adding to their graphic novel sections. Thanks again for visiting our website. We look forward to meeting you at the shop!